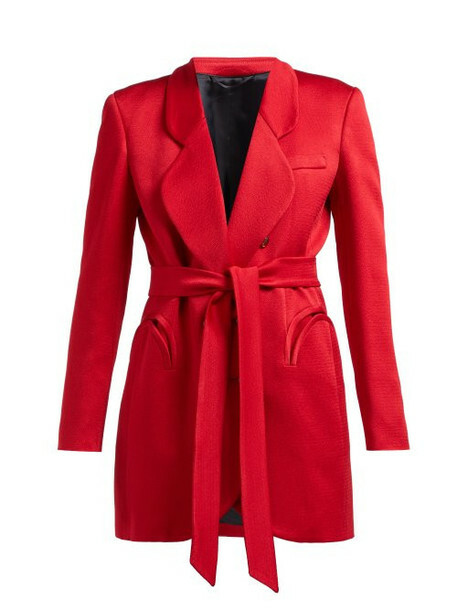 Blazé Milano - This statement red double-breasted Royal Delight blazer is in tune with the Blazé Milano's androgynous codes. It's Italian-tailored from lustrous textured crepe for a faultless drape and framed with rounded notch lapels before leading into a slim silhouette with a detachable waist tie. Offset the bold hue by draping it over navy separates.